Mary Ann Cowie, nee Bates 1867-1949 dau. of Nathaniel Bates & Ann Pauley, nee Williams. Notes: Photo Courtesy of Marie Heilbrunn. 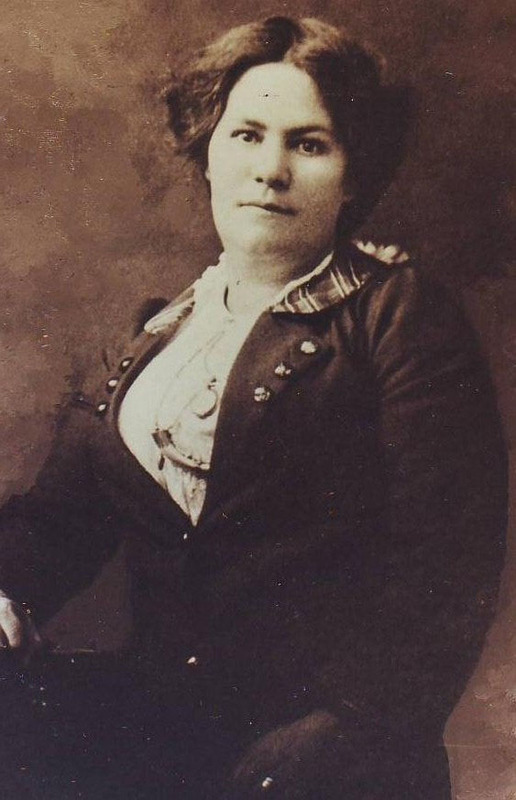 Mary Ann Cowie, nee Bates 1867-1949. Mary Ann was the daughter of Nathaniel Bates and Ann Pauley nee Williams. I have thirteen children listed as being the children of Nathaniel & Ann, Mary Ann being their second child. Marie Heilbrunn in her book The Bates of Sussex St. says: c.1865 while married to Harriett Watson, their neighbour’s wife, Ann Pauley, nee Williams moved in to their home at Flax Point and Nathanaiel continued to father chidlren with both women, a total of 24. This was in addition to his three children by his first wife, Hinepu.